Home > Blog entry > Slovakia’s EU funds spending plans: finance for the energy transition – where’s it at? 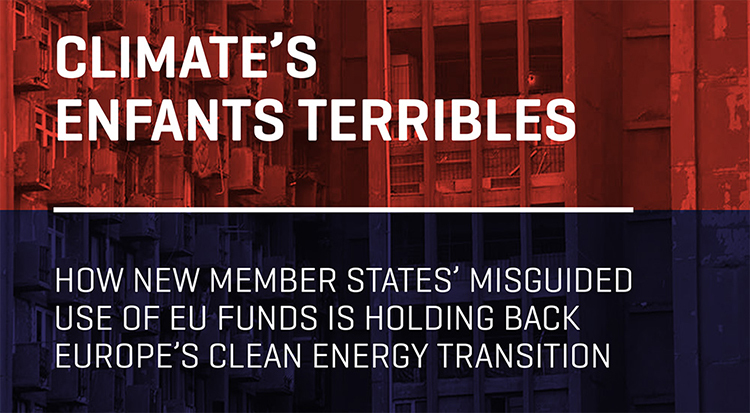 Slovakia’s EU funds spending plans: finance for the energy transition – where’s it at? Slovakia has missed the opportunity to use the EUR 14 billion of Cohesion spending to transform its largely monopolistic, heavily state influenced energy economy with its high dependence on imported fossil fuels and high carbon intensity. Almost 90% of all public investments over the 2011–2013 period in Slovakia were mainly financed by European cohesion and structural funds, which was the highest share in the EU. This makes the new Partnership Agreement for the period 2014-2020 the most important investment strategy of the country. However, a Bankwatch study analysing the final setup of the Agreement and of the Operational Programmes concludes that any traces of energy transformation are hard to identify. Slovakia did not allocate resources to research and development of new energy technologies nor into the testing of intelligent energy management and distribution. Measures to tackle energy wastage and support for renewables receive only neglectable sums. It is safe to say that Slovakia has missed the opportunity to bind the EUR 14 billion of Cohesion spending with decarbonising its energy sector. 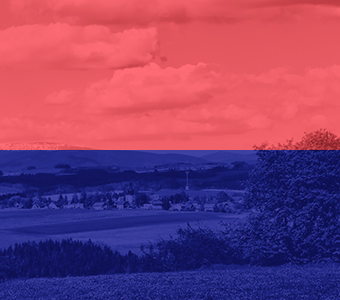 Any systemic change would require liberalisation and decentralisation of Slovakia’s largely monopolistic, heavily state influenced energy economy with its high dependence on imported fossil fuels and high carbon intensity. Energy savings, energy efficiency and renewables receive EUR 1.35 billion (9,6%) of its almost EUR 14 billion in Cohesion Policy funds. This, however, includes heat and electricity cogeneration in fossil-fuelled installations as well as controversial energy efficiency measures in large enterprises which basically would mean supporting economically viable projects in businesses well equiped with capital. In comparison, a Bankwatch research from 2012 estimated the investment needs in the energy sector with EUR 17.5 billion, almost 13 times as much. Considering, again, that almost 90% of public investments in Slovakia are made up of EU funds and national co-funding, it is clear that the current clean energy allocations get us nowhere. Also the huge potential for reducing the energy consumption in residential buildings remains untapped. The Integrated Regional OP dedicates only EUR 111.3 million to energy efficiency in the housing sector which will be distributed through financial instruments within the Slovak Investment Holding. This instrument however fails to cover half of Slovak households living in single family houses even though only about 15% of these are to some extent renovated. The lack of will to really deal with energy losses in the residential sector (with the help of both EU funds and revenues from the emission trading scheme) is plainly visible when comparing the scale of support with that in the Czech Republic where EUR 1 billion are allocated for the New Green Savings Scheme. 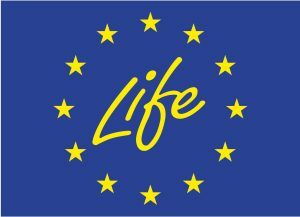 Renewable energy gets a meagre EUR 169 million, with EUR 65.7 million supporting micro PV installations in households and on public buildings. The rest is made up of EUR 55.2 million for biomass installations up to 20 MW and around EUR 47 million for other renewables, mostly thermal heatpumps in households. A step in a good direction are the altogether EUR 112 million for renewables installations allocated through financial instruments. They open up the EU funds to households for the first time. Once first experiences are available Slovakia should seriously think about supporting household energy projects more substantially. Existing heat producers have tapped into EU funds quite effectively by claiming support for biomass and electricity/heat cogeneration and district heating within the ‘Quality of Environment’ Operational Programme. The positive contribution of biomass support is questionable as existing fossil fuel-powered installations up to 20 MW will be reconstructed to co-fire biomass. This not only creates a lock-in effect into Slovakia’s old fassioned heating system. It also pretends to offer solutions by ignoring the fact that heavily polluting fossil fuels, including coal, are being burned alongside the ‚renewable‘ biomass. If such compartmentalisation would not be allowed, no such installations would receive EU funds. Another issue is the restoration of old heat distribution networks. While it will reduce heat loss it will also perpetuate the dependence on old systems instead of investing in new ones. Allocations confirm this with heating restoration and cogeneration getting EUR 185 million and smart grids and intelligent energy management systems getting a clear zero for the next seven year period. The next opportunity to improve the climate performance of Cohesion Policy will be during the mid term review in 2018. By then Slovakia will have ample chances to prove that its climate comittments are sound and serious. The evidence from the relevant calls for proposals and from evaluations of operational programmes will be crucial. Already in the coming months, when all managing authorities have to show how they want to measure their portfolios‘ climate performance, Slovakia should prove its efforts to really mainstream climate into the spending. If there are gaps in methods and tools, the European Commission should play an active role and help member states to get the system running. It is up to the EC now how strong a pressure it will put on the implementation of Europe’s climate agenda. So far, however, there is absolutely no hint that Slovakia intends to shift its economy towards a low-carbon development path. If that attitude prevails, Cohesion Policy in Slovakia will remain a potential unfulfilled.